Although I didn't stick to my mostly-vegan-diet while I've been living in New York, I often go for the vegan options on the menu. I decided that there are too many things I wanted to try in this city and I didn't want to restrict myself too much. But at the same time I still love vegan food and New York has plenty of good things to offer! 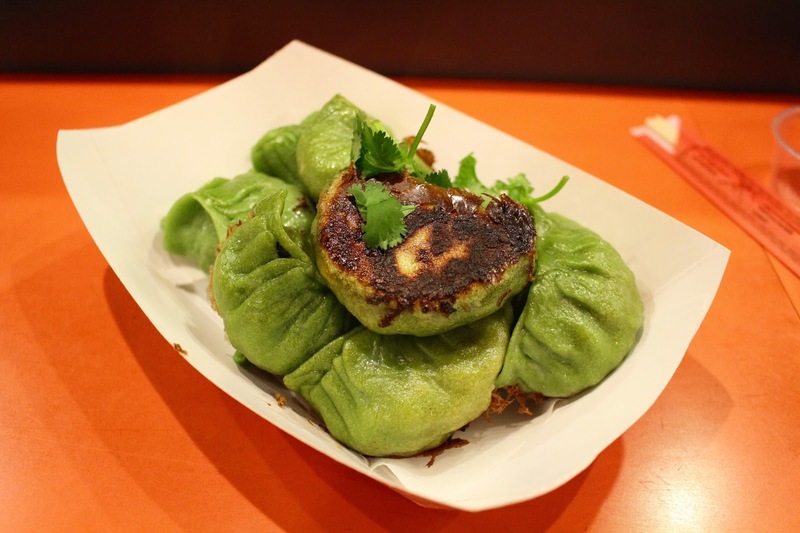 So for you plant-based foodies out there I compiled a list of the 10 best vegan dishes in New York, according to yours truly. I've tried to go a bit more creative than just naming avocado toast, because we all know that's vegan and always tasty. 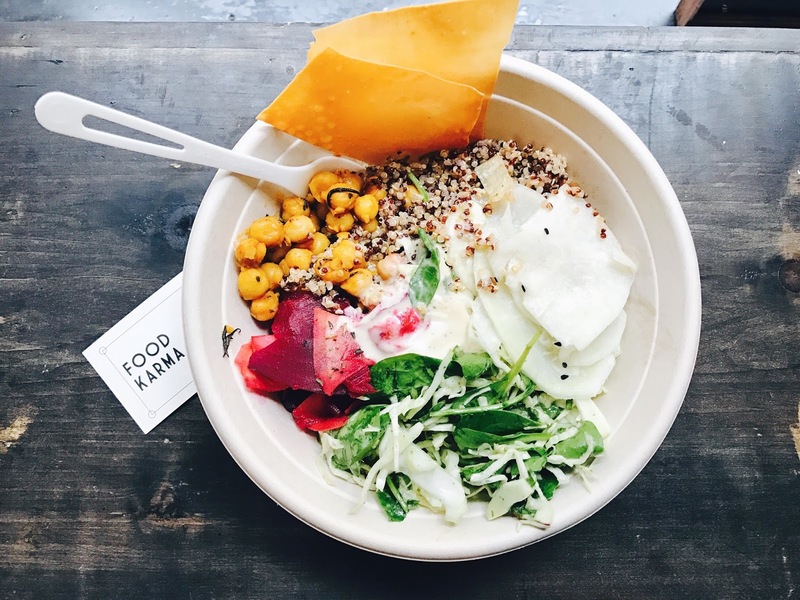 This lunch spot does several incredible vegan bowls, but the 'Cauli'fornia' must be my favorite. It's fresh and moreish at the same time, there's a crunch and some creaminess. 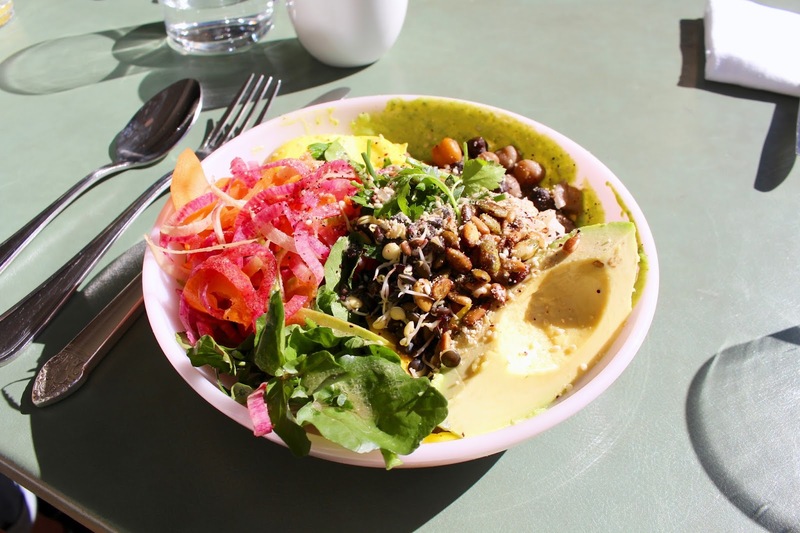 It's just the perfect lunch bowl. And along with their bowls, Inday promises a dose of good karma! Full review here. I didn't expect much from this starter, but oh man these little guys are absolutely packed with flavor. 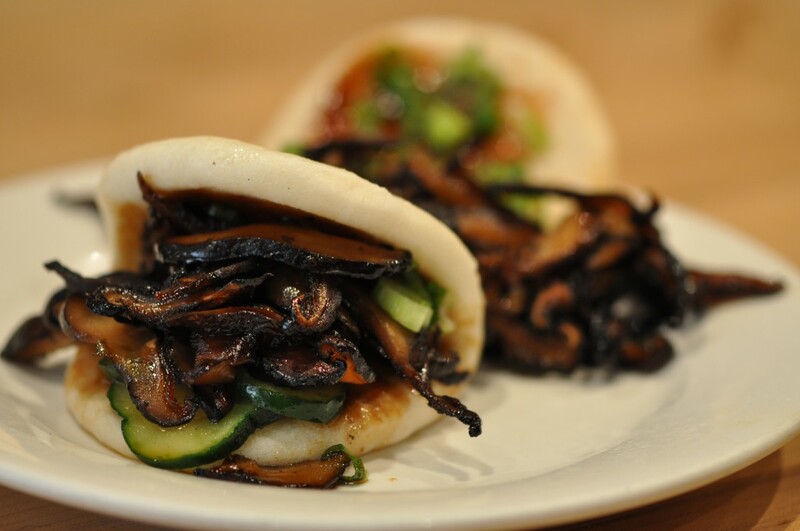 The combination of crunchy shiitake mushrooms with a sticky hoisin sauce, pickled cucumber in a pillowy soft bun sends you straight to heaven. 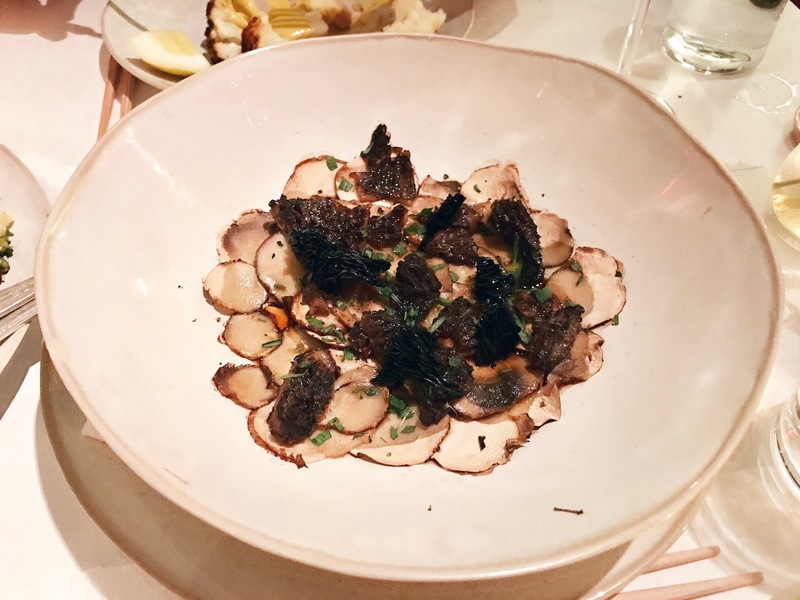 One of the best dishes I've had in New York overall, and that says a lot. Sweetgreen, my favorite salad bar, offers some vegan salads on their regular menu, but the best vegan salad is my own combination: kale, brown rice, mushrooms, sweet potato, red cabbage, beetroot, tortilla chips and the spicy cashew dressing. Trust me, it's good. 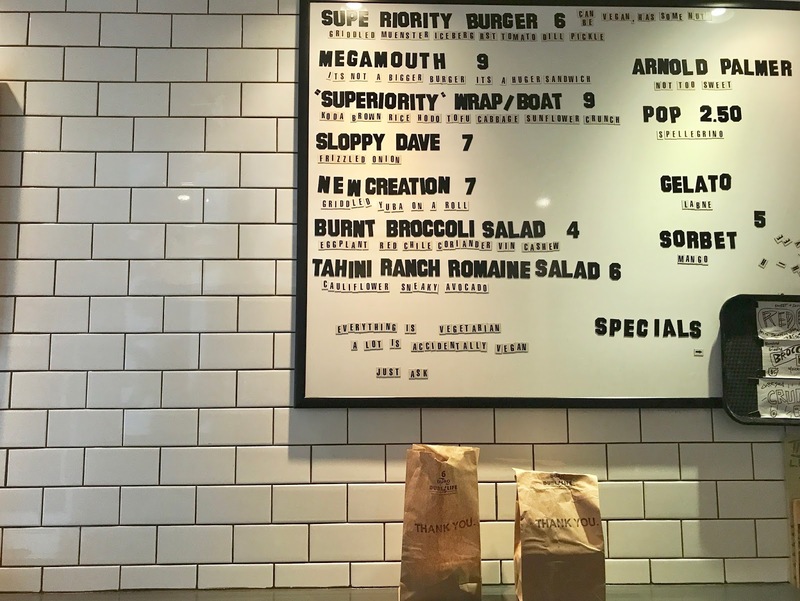 This place is famous for their vegan burger, just ask for the vegan superiority burger. I must admit, it's very satisfying and tasty. Do take-out and eat in the park nearby. And afterward, you feel light, unlike when you eat a real burger. 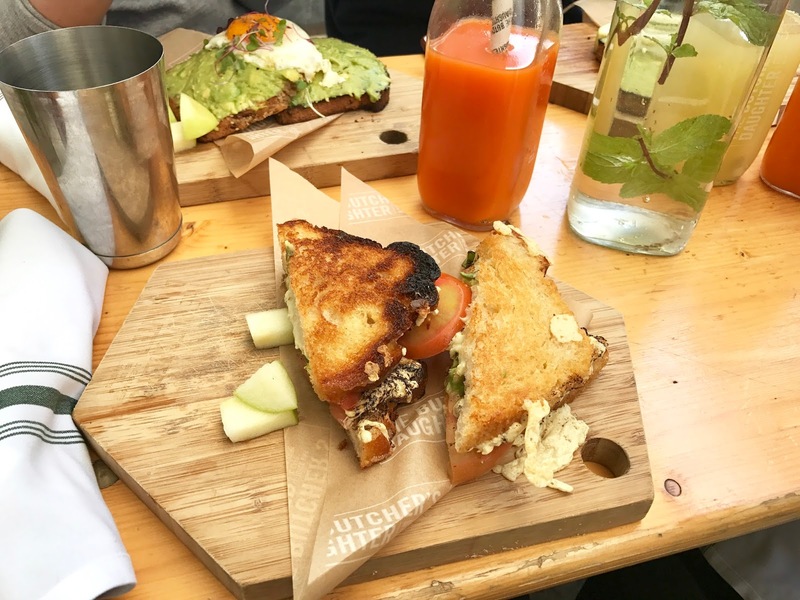 I didn't know a vegan grilled cheese could be this good, but the Butcher's Daughter grilled cheese with vegan cheddar, heirloom tomato, avocado, adzuki bacon and basil on sourdough is the closest thing I've had to the real deal. The perfect hangover meal, and totally vegan. Full review here. 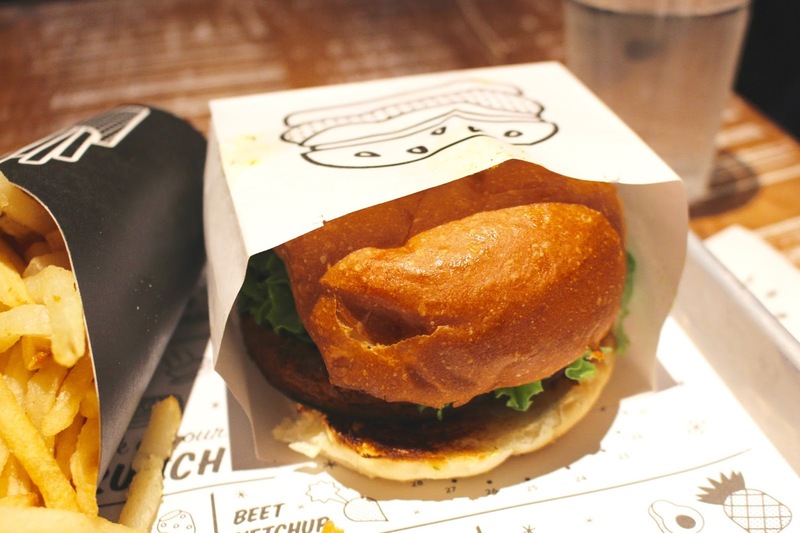 To me, this is the best veggie burger in New York. It's also the best thing on the menu at By Chloe. Order sweet potato fries on the side with beetroot ketchup and you'll have the perfect indulgent vegan meal. Full review here. 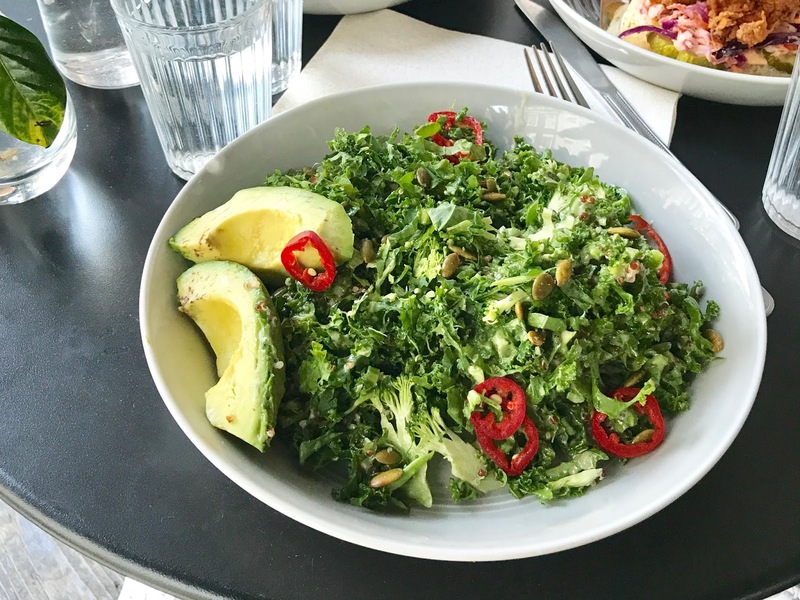 Banter's green salad with chopped kale, shaved broccoli, chili, sunflower seeds, avocado and dijon honey dressing is exactly what you need if you feel like you've not been eating well lately. It's super fresh, crunchy and packs some spice thanks to the chilies. I love it! This might seem like a very random little place, but it's the best vegan comfort food in The East Village. Asian ladies make fresh dumplings right in front of your eyes, so you know it's good. The vegetarian option is very flavorful, with smoked tofu, shiitake mushrooms, jicama and bok choy. It's the best when it's seared instead of steamed. Full review here. 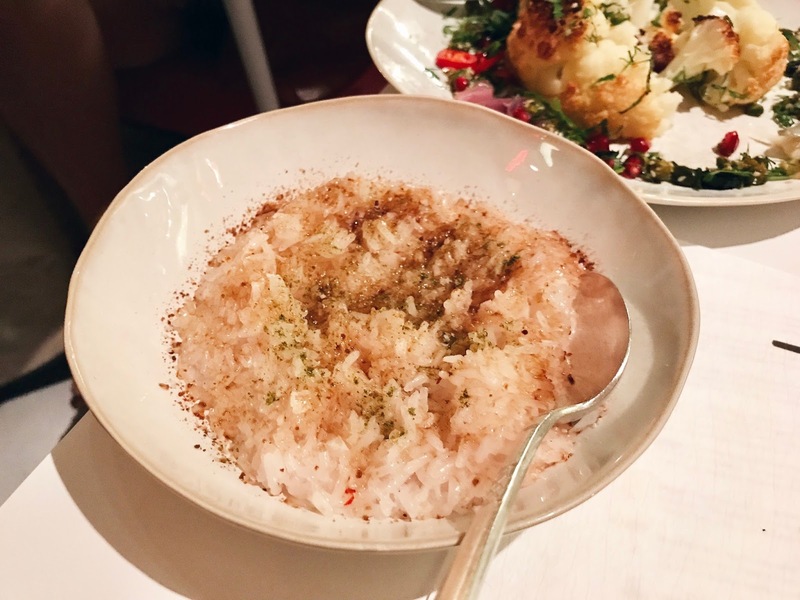 Everything at ABCV is absolutely amazing, but if I had to choose one thing (well, two things) it would be the sticky coconut rice together with the crimini mushrooms and morels. I never knew these two could work so well together, but this was just incredible. Full review here. The fire dragon bowl usually comes with an egg but if you leave it out it's vegan. It's the most colorful and flavorful dish you'll have in New York City. It's as tasty as it is to look at. Order the banana bread for dessert, it's one of the best in the city. Full review here. I could probably name many more but these 10 really stand out for me, simply because they're either very special and unique or just because they're fast and cheap. 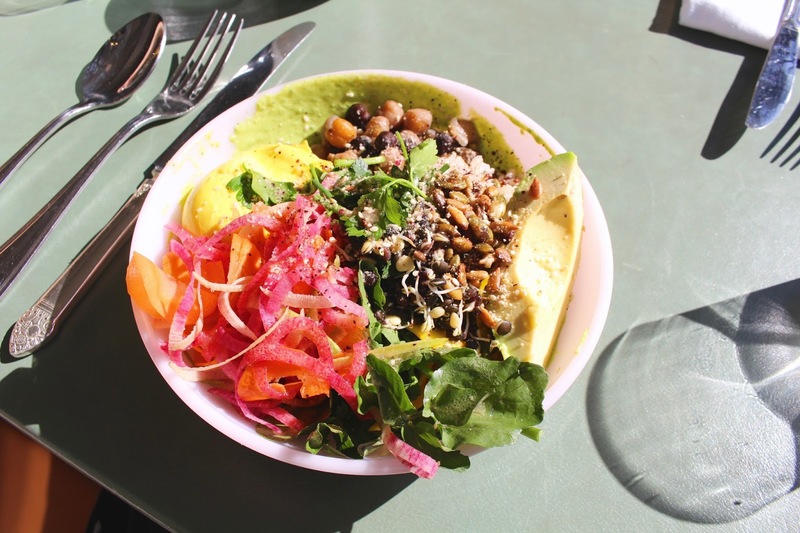 Vegan food doesn't always have to be expensive or complicated, especially not in New York.